Google Flights arrives in the Philippines – finally! Google Flights is officially launching today in the country. I’ve been using the service for a few years now to scout different rates. Somehow it was able to aggregate data on local airlines even though it says it doesn’t support the Philippines back then. You can use Google Flights on your desktop browser of mobile browser of choice. Just enter your destination and browse the different rates from different airlines complete with stops and price ranges. Really useful stuff. IKEA is officially coming to the Philippines and will be open come 2020. It will be built in the SM Mall of Asia Complex right smack in the middle of the SMX building and the former ice skating tent. The building is said to be the biggest IKEA store in the world at around 65,000 square meters. There will be around 9,000 catalogued products available for sale and also don’t forget about those swedish meatballs. I have been shopping online on Lazada for a few years now and honestly, I have seen myself buying from Shopee quite recently. I have had no issues on both platform, specially with Lazada’s easy return process; though when it comes to site usability I seem to prefer Shopee’s way – but it seems Lazada is taking note and it has now replicated some of Shopee’s features like In-cart payment selection, Shopee Mall (Laz Mall), chat feature, separate shipping pricing, etc..
Shopee is recently touting it ‘Lowest Price Guarantee’ on its Gadget Zone so let’s try to check some items on that page and compare it between these two giant ecommerce platforms. Take for example this listing of the Vivo V9 on Lazada. This was taken on the official Vivo LazMall page. The Vivo V9 is priced at 14,999 Philippine Peso. Now we check the same official Vivo Shopee Mall page. In case you can’t see the price, it’s also the same 14,999 Philippine Pesos. Wait? I thought Shopee would have the lowest price? If you check their Gadget Zone page and apply the code GADGETZONE10, you’ll get the adjusted price of only 13,499 for the same phone. That is less 1,500 pesos or 10% off that could go to buying your phone case or other accessories. But remember to checkout using their Shopee App on Android and iOS – or the code won’t work at all. On top of that, you’ll also be eligible for free shipping. So it seems that Shopee’s lowest price guarantee on their GadgetZone deal page is really true. If you check official sales price from official sales store fronts of top brand you’ll definitely get more bang on your buck on Shopee with their 10% off code. 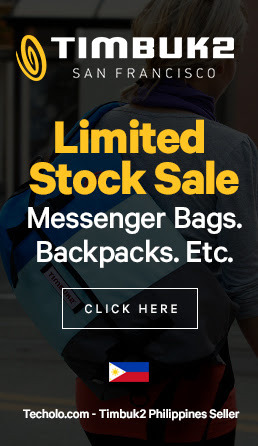 Still I would advise checking out prices from 3rd party sellers/merchants just to be sure you’re getting a good deal and best price all around. If you’re a techie who always wants to have the latest electronics and gadgets but does not want to spend too much, Shopee may probably be your best online shopping destination. Why you ask? Well Shopee just introduced the Shopee Gadget Zone – a dedicated portal for all-tech products with the lowest price - they guarantee it too! So you get to search for the coolest tech at the comfort of your own home, while getting the best price ever, even cheaper than the mall! Here’s the rundown of some cool tech items I found. Some products listed are heavily discounted while others are just plain quirky. If you’re a fan of old-school gaming, then this retro game-boy lookalike is for you – that is if you also own and iPhone too. Sorry Android users! At just around 8,000 pesos, the Honor 9 Lite falls into mid-range category of smartphones, but the specs is not that bad at all. The design is premium-looking and the addition of dual camera’s make this a good deal at that price range. Xiaomi basically is like Apple but without the Apple Tax. 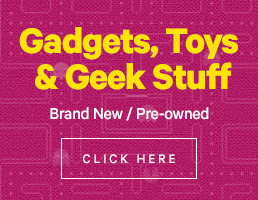 They produce high quality, good looking electronics, appliances, and more… at rock bottom prices. I personally have lots of Xiaomi products just because they’re so affordable that I don’t think twice before purchasing them. Samsung just unpacked their new Galaxy Note 9 in New York an few moments ago. While this is an incremental update from last year’s Note 8, it still packs a few improvements and worthwhile features for the mobile power user. All new SPen – Now has LE Bluetooth so you can use it as remote shutter etc..
Other: Stereo speakers, IP68 water resistant, loads of biometric authentication, fast charging on wired/wireless. One thing to note from the boxed shot is that it might include a basic case already, something that Samsung hasn’t done in their Galaxy line ever. Prices are expected to be 55,990 Pesos for the 128gb and 75,990 for the 512gb model. Pre-order in the Philippines starts tomorrow (August 11). Preorder bundles are quite good this year. You can choose either a Gear Fit2 Pro, Gear Icon X or a Galaxy Tab A when you opt for the 128gb. If you go for the pre-order exclusive 512gb version, you’ll get a free 32” Samsung Smart TV. Nice. Experience 360-degree projection mapping and more high tech event and entertainment solutions for your brand! Make sure you don’t miss out world-class technologies as the tech-savvy experts from the Taiwan External Trade Development Council (TAITRA), Singapore, and China showcase different pavilions packed with their best product offerings. 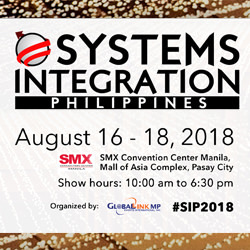 This year’s Systems Integration Philippines will showcase products from countries like China, Japan, Singapore, Netherlands, USA, UK, and Germany. “We made sure everyone will be highlighted from events, film and entertainment technology; consumer electronics and gadgets; advertising and media tech; IT and telecoms; as well as the educational and training technology,” added Tan. Expect to witness the most advanced equipment and innovative solutions as world renowned tech savvy experts from Taiwan External Trade Development Council (TAITRA), Singapore and China showcase different pavilions packed with their best product offerings. Participate with exciting activities showcased by the leading tech suppliers from around the globe.